Why does my car sputter on acceleration? 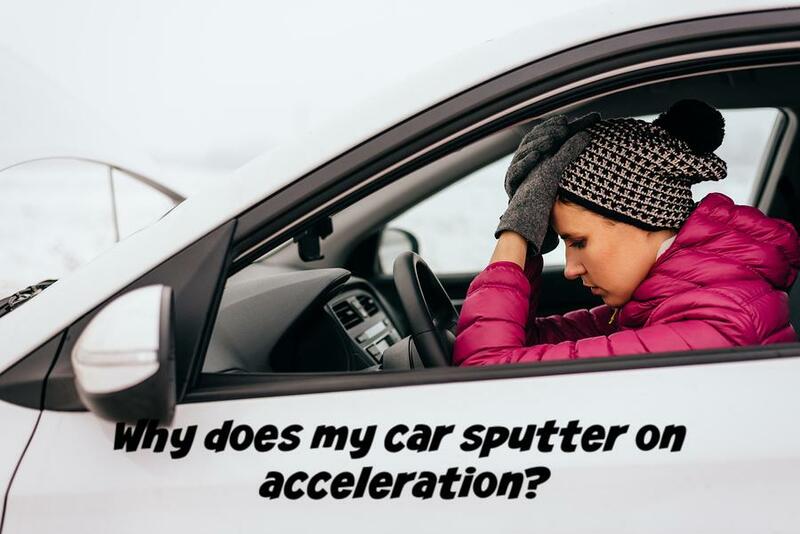 Does your car sputter when you step on the accelerator? If yes, it could be because you are low on gas. However, if your tanks are full, then it could indicate a different kind of car trouble starting from either the fuel system in your car or a faulty exhaust or even worn out parts. It is important to note that the problem will not self-correct over a period. If left unaddressed, it can lead to expensive repair costs which are not appealing even in the age of lower taxes. Here are five of the most common reasons why your car sputters when you accelerate. If your car has a faulty or a failing catalytic converter, the engine will sputter or run rough. When the catalytic converter is faulty, its ability to burn hydrocarbons within the exhaust get hampered which means the breakdown of sulfur produced by the engine will no longer happen. For this reason, you may get a smell akin to rotten eggs if the catalytic converter is failing. If the catalytic converter gets completely blocked, the car will not start. The job of the fuel injectors is to supply the cylinders with required fuel which mixes with the air and ignites. This ignition is necessary to power up the engine. However, over a period, the fuel injector nozzle can get blocked leading to the engine sputtering when you accelerate. Timely cleaning of the fuel injectors can prevent any kind of clogging. If, however, the fuel injectors are not routinely cleaned, they can get damaged and will need to be replaced. If the spark plugs which help the fuel ignite within the combustion chamber are damaged or dirty, they will not be able to ignite the fuel. When this happens, the engine will sputter, or you may experience a misfire. At this point, the spark plugs will have to be cleaned or replaced based on the level of damage and you don’t want to be doing this on the side of the road in a Phoenix summer. The job of oxygen sensors is to keep a track of exhaust gases for how rich or lean they are at the point of leaving the combustion chamber. This information is then passed on to the computer which then makes the necessary adjustments to the quantity of fuel inside the engine. If your oxygen sensors are damaged or dirty, they will not be able to pass on this critical information to the car’s computer which means the computer will not be able to adjust the fuel entering the engine leading to the engine sputtering. If you take your car for routine maintenance, your car technician will ensure they are replaced as and when required. If your exhaust manifold which is responsible for collecting the exhaust gases springs a leak, you may experience your car engine sputtering upon acceleration. Your engine will also become very noisy and its overall performance will drop. The danger of a leak in the exhaust manifold is that the hot gases can damage the surrounding car parts, or the exhaust fumes could also enter the cabin of the car. One of the first signs to watch out for is the “check engine light” flashing on your dashboard. If you notice any of the above-mentioned symptoms, it is best to have your car checked up by a professional car technician at the earliest. Keep in mind that the sputtering will not go away; in most cases, if the engine sputters on acceleration, it could be symptomatic of a wide variety of serious car troubles. If you ignore the problem, over a period, your car will suffer from dropping engine performance and eventually not start at all. Routine maintenance can help address most of the car troubles that you face. 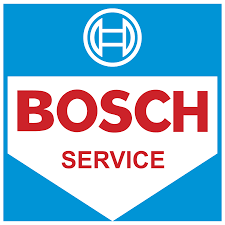 During a service visit, your car technician will carry out a complete checkup of all car parts and make necessary repairs or replace the parts as and when needed. Does your car sputter upon acceleration? Are you facing any of the above-mentioned warning signs? If yes, you can visit us at Virginia Auto Service for a speedy resolution to all your car troubles. You can also reach us at 602-266-0200 or schedule a visit with us online as per your convenience. The right air-to-fuel ratio is an important aspect of good engine maintenance. When this ratio is maintained, the circumstances inside the internal combustion chamber of the engine are ideal for ignition and general functioning of the car engine. It is the job of the control unit of the engine to control the various components, including the air flow sensors, oxygen intake and fuel injectors, as well as emission sensors. In case there is an issue with any of these components, it could impact the amount of fuel injected into the combustion chamber. There is no way of knowing what exactly is causing the “check engine” light to light up on your dashboard until you have your car checked by a professional mechanic. In several instances, when car owners ignore the signal for too long, the engine damage can be significant. Repairs or engine replacement costs are among the highest, which is why our advice is to seek professional help as soon as possible. Mileage per gallon rate will drop substantially, and this is no good in a city like Phoenix where everything is rather spread out. You will have to refuel far more often, even when running the same distance or for shorter distances. Addressing the rich fuel mixture issue is the only way to reverse the poor mileage. An excess of carbon emission levels from the engine is a pretty good indicator of rich fuel mixture. It is good practice to get your emissions tested as part of routine maintenance. Faulty oxygen sensors could also be the reason for failing an emission test. Either way, it is best to test the carbon emissions and identify the root cause of the issue in case you fail the test. The presence of too much fuel and insufficient oxygen will impact the performance of the engine leading to an overall dip in the car’s performance. The air-fuel mix might still be able to power the ignition and provide steady compression, however, the car’s performance will take a gradual hit. Over a period, the condition will get worse and eventually start impacting the engine performance. The engine’s running will not feel smooth. You might also notice rough idling (the car feels bouncier while driving). Remember, when the car engine performs undress stress, it has a cascading effect on other parts of the car, including the mechanical and electrical parts. Keep an eye on the tachometer – the needle will go crazy (bouncing all over the place) if there is a rough idling issue. Low fuel efficiency is a major irritant not only because of the cost factor, but also because a car guzzling fuel at a fast rate will eventually develop all kinds of engine problems. 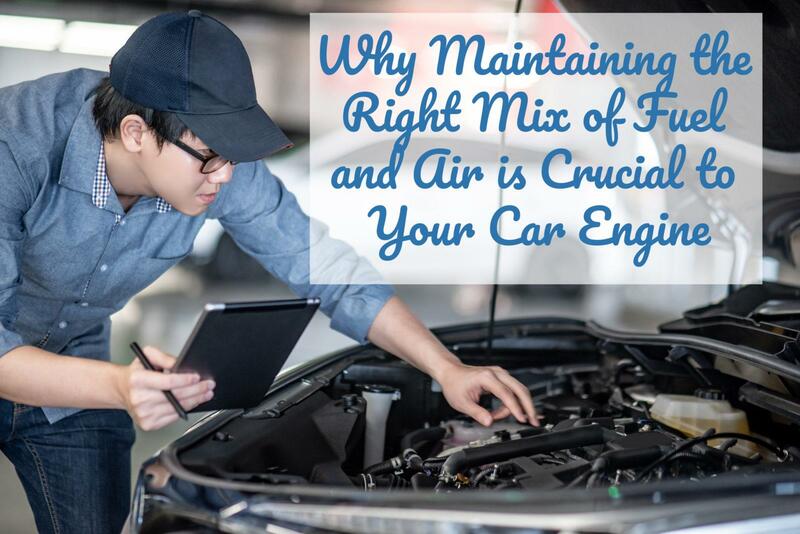 A drop in the car’s overall performance, low fuel efficiency, and any of the above-mentioned symptoms should worry you if you want to avoid engine damage. Addressing the rich fuel mixture issue early on will help you save hundreds or thousands of dollars in the long run. 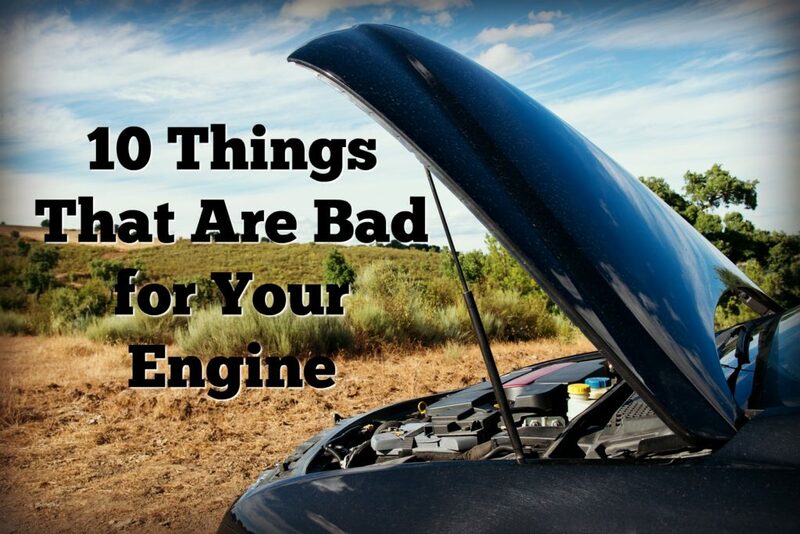 If you noticed any of the above-mentioned issues with your car, don’t delay. It is best to have your car checked up by a professional mechanic. For a quick diagnosis and fast resolution for any kind of auto trouble, give Virginia Auto Service a call today. You can reach us at 602-266-0200 or schedule a visit with us online to have the issue fixed as soon as possible! The engine is the heart of your vehicle. And, just like your own heart, if you aren’t taking proper care of it, things can go wrong. Oil not only keeps your engine lubricated and running smoothly, but it also provides cooling, cleaning and other such jobs. When oil is low and whatever limited oil is in the engine is pushed around, it becomes hotter and hotter because the oil isn’t allowed enough time to cool down a little before it makes its way back into the engine. Because of this, the oil wears out even faster leading to more oxidation, thermal degradation, and compressive heating at a faster rate. This breakdown of the oil results in: tar, sludge, soot, etc. These start to coat parts of your engine like the bearings, cylinder walls, and rings. This coating is often referred to as carbon build up and causes a lot of friction on engine parts. If you allow this to continue, the parts will begin to wear and you could eventually find yourself needing a whole new engine rather than just a simple oil change. When your vehicle is running on little to no oil the engine oil light should come on. If this is the case, you should not be driving your vehicle until you correct the problem to avoid costly damage or even complete engine failure. Keep your engine healthy by always completing oil changes on time according to your vehicles owner’s manual. Engines are made to operate on a specific amount of oil. Your oil pan has baffles that are designed around the normal oil level. When you put too much oil in your engine, you run the risk of the oil “frothing” because of the connecting rods and crankshaft pushing air into it. The air bubbles that get into the oil interfere with the oil’s ability to keep metal parts from rubbing together- not good. Also, over filling can result in “splashing” causing parts of the engine to become coated in burnt oil and minimizing that parts effectiveness. Stick to your vehicles recommended amount of oil to avoid costly damage. When you use the wrong oil in your engine, it can lead to reduced lubrication and a shorter engine life. You should always use the oil specified in your vehicle’s owner’s manual. The brand itself doesn’t matter, but the viscosity grade (10W-30, for example) does. Also, if your owner’s manual says that you should be using synthetic oil, then you should do so. The air filter is exactly what it sounds like. It filters the air of dirt and debris before it mixes with the fuel and burns in the engines cylinders. Dirty or worn air filters allow dirt and debris to enter your engine which can cause premature wear to things like the carburetor, cylinders, and pistons. Dirty air filters reduce the performance level of vehicles and may cause an engine to overheat. Turn off the air conditioner and open the windows to reduce the load on the engine. Turn on the heater and blower to transfer heat from the engine to the passenger compartment. If stuck in traffic, rev the engine slightly to increase air and coolant flow through the radiator. If you see steam coming from the hood you need to pull over immediately. Do not continue to drive your car in this condition. Revving puts unnecessary stress on the engine. It is worse on an engine when it has first been started and is cold with all of the oil still down in the oil pan. The metal parts of the engine haven’t been lubricated yet and revving can cause the parts to wear. 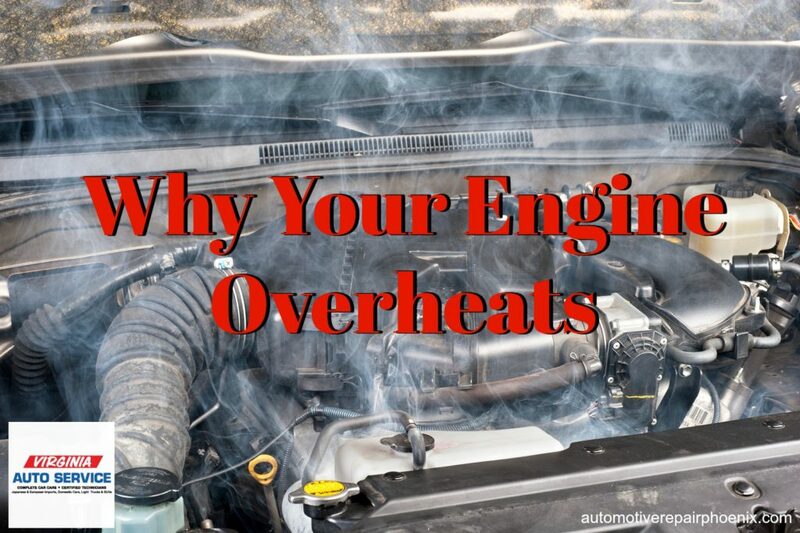 Revving repeatedly will eventually damage the engine, potentially costing thousands of dollars in repairs. Oil doesn’t lubricate the engine well when it is still cold, and the parts of an engine are made to operate in a certain temperature range. After you start your car, wait a minute or two before driving off to allow your engine to have some time to warm. If you start and immediately drive away, you put unnecessary stress on the engine. The heat of summer, can cause untreated water to reach its boiling point quickly, causing the engine to overheat. And, in the winter, if the untreated water freezes, it can expand and crack your engine block. It is safest for your vehicle to use a 50/50 mix of coolant and water. If you drive through large, deep, puddles of water, you run the risk of some water being sucked into your engine’s cylinders. Cylinders contain air and fuel droplets that compress so when the pistons squeeze, the pressure goes up. Water does not compress, so when the piston tries to squeeze it, it cannot do so. If this happens parts that are connected to the piston can break or bend, resulting in expensive repairs. It is often mistakenly believed that the Check Engine light isn’t serious and can be ignored. Though it doesn’t always signal immediate danger, it does indicate that there is something wrong with the engine. It could start out as something minor, but left unchecked can turn into something major and costly. Having regular maintenance done on your vehicle -following the schedule recommended in your owner’s manual- is the best thing you can do to keep your engine performing efficiently and smoothly. If you are due for regular maintenance or have any concerns with your vehicle, call Virginia Auto Service, (602) 266-0200. We are happy to help. You pull out of your parking spot and you see it, a puddle of fluid has built up under your car. This is not a good feeling. Thankfully, with a little know how, you can easily determine if these spots are a harmless leak, or something that you should have fixed right away. Analyzing the location, color, and consistency of the spot will help you determine the cause and severity of your leak problem. There are six fluids that are the usual leak suspects. Due to the many gaskets and seals where a drop can seep out, spotting a little bit of this amber-to-brown/blackish fluid is probably not a big deal. However, if the spots are frequent or are becoming larger, it’s probably a good idea to track down the origin and have it fixed before a tiny leak becomes a big issue. Have your vehicle looked at right away if you initially found a larger spot as this could be a sign of a serious issue. These stains, drips, or puddles may look similar to engine oil leaks, but are usually thicker and are located near the center of the car. Some newer model vehicles transmission fluids are thinner, but easy to identify due to their reddish color. Transmission leaks should be looked at right away as they are most likely coming from a failing gasket or seal. Because transmission fluid can also be reddish and thin, you may be thinking that you will get these two confused. However, they can be identified easily based on their location. The power steering fluid will be found near the front of your vehicle, whereas transmission fluid will be located at the center of the vehicle. Because of its bright colors, coolant is probably the easiest fluid leak to identify. With late model cars, you shouldn’t ever see coolant on the driveway. If you do, this spells trouble and you should have it looked at right away. You could have a leaky water pump or leaking hoses. Failing to check and replace your coolant levels and repairing leaks can leave you stranded and overheating on the side of the road. Brake fluid is one of the most dangerous leaks to worry about. Have your vehicle looked at right away if you notice a brake fluid leak. New brake fluid will be clear, almost like mineral oil. After time, though, due to dust, rust, and other contaminates it can turn a brownish color. 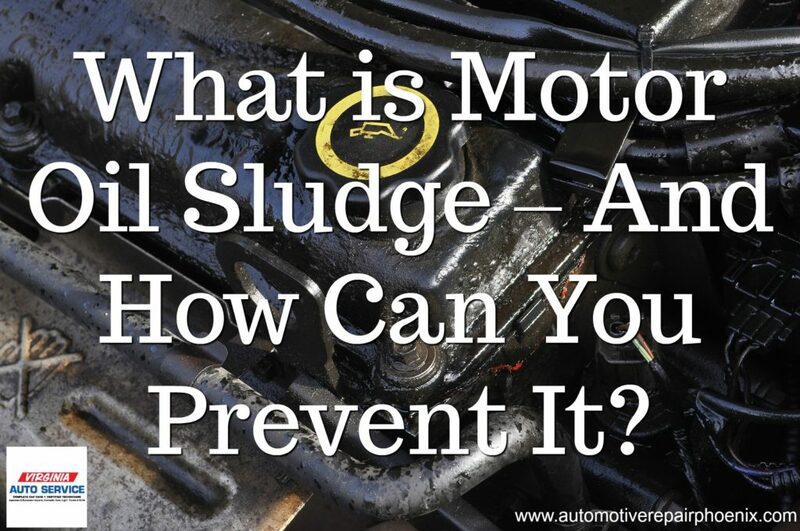 If this is the case, to help distinguish it from other fluids, you will need to remember that it is much more slippery to the touch than transmission fluid or engine oil would be. Have you ever driven to the store and when you come back to your car after shopping notice a puddle of water under the front, passenger side of the vehicle? If so, you had most likely been running the air conditioner. The spot is most likely water that has condensed on the air conditioning hardware and is totally harmless. If you notice a leak, you should bring your vehicle in for an inspection and repair to avoid causing further, and costlier damage to your vehicle. You should also make sure that before you take any long road trips, you have any leaks looked at and repaired. If you are concerned with your vehicles performance, you can call Virginia Auto Service at 602-266-0200 or schedule an appointment online. How often do you think about your spark plugs? If you are like most people, chances are it’s not very often. Though often overlooked by car owners, the spark plug is an important component of any finely tuned engine. The condition of the spark plugs can affect the power that your engine puts out, how good your fuel economy will be, and how smoothly your engine runs. Like your car’s oil, and other important parts, the spark plugs should be maintained and changed when necessary. Spark plugs are a fundamental part of the ignition system. They screw into the top of an engine’s cylinders where they receive a high voltage electrical current from the ignition coil(s). They then create the electric spark that is required to ignite the compressed air-fuel mixture in the combustion chamber. They will also transfer heat away from the combustion chamber. These events happen over a thousand times per minute when you are driving. It is this constant ignition that keeps your car moving on the road. The number of spark plugs your car has depends on how many cylinders there are. If you have a four-cylinder engine, you will have four spark plugs, and so on. How do you know if your spark plugs need replaced? Preventative maintenance is key to the over-all health of your vehicle. The spark plugs are no exception. Spark plugs usually need to be changed every 30,000 miles. There are, however, some high-performance plugs that can last as long as 100,000 miles. You should always check your owner’s manual for your vehicles specifics. When you replace your spark plugs, you should use the same type of spark plug that your car was originally equipped with. For example, if it has double platinum spark plugs originally, then double platinum spark plugs should be used to replace them, as this is what the vehicle manufacturer intended the vehicle to use. If you notice that your fuel economy has decreased, or that your engine runs roughly, or you are driving a vehicle with a lot of miles and simply don’t know the last time they were changed, your engine could probably benefit from new spark plugs. Most people are not aware that having worn spark plugs can cause their car to have troubles when starting. Usually they assume it is a flat battery or being out of fuel. Having worn spark plugs will cause the ignition system to work harder. Faulty spark plugs can also cause your battery to drain. Harsh weather conditions increase the chance of worn spark plugs preventing the engine from turning over. If you notice your car struggling to start, you may want to take a look at the spark plugs as a possible cause. It is easily recognizable when an engine misfires. A misfire causes the car to halt for a split second then it continues on at its normal pace. How serious your misfire problem is will determine how often this will happen. 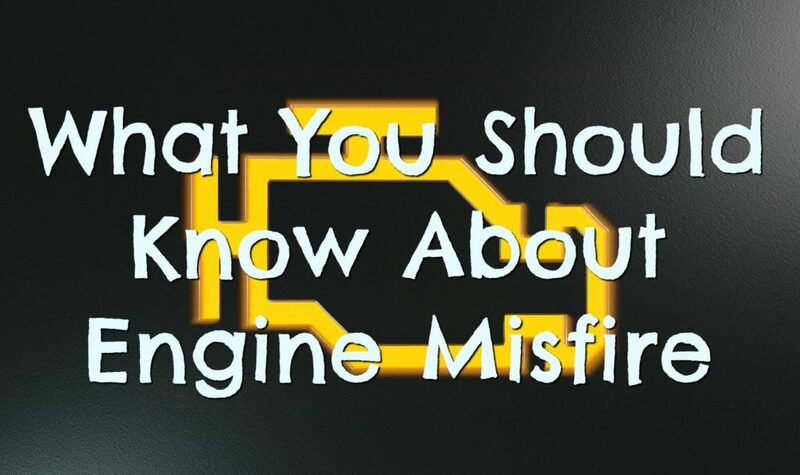 Engine misfire means that the vehicle is not functioning as well as it should because one or more of its spark plugs aren’t firing properly. This could lead to a reduction in fuel economy, reduced engine power, or increased exhaust emissions. Idling occurs when your car is stationary, yet the engine is running. While idling, your engine runs at a lower RPM. When an engine has spark plugs that are performing properly, the sound should be continuous and smooth. When they are not working as they should, the engine will sound jittery and rough and it will stumble and produce a vibration that can be felt throughout your vehicle. You need to have this checked right away as ignoring this symptom can lead to costly and serious damage being done to your car. It is easy to tell if your vehicle is accelerating poorly. When you put your foot down on the gas and it feels like it doesn’t want to respond, or it does, but slower than normal you are experiencing symptoms of poor acceleration. Your car may also feel like it is trying extra hard to move. 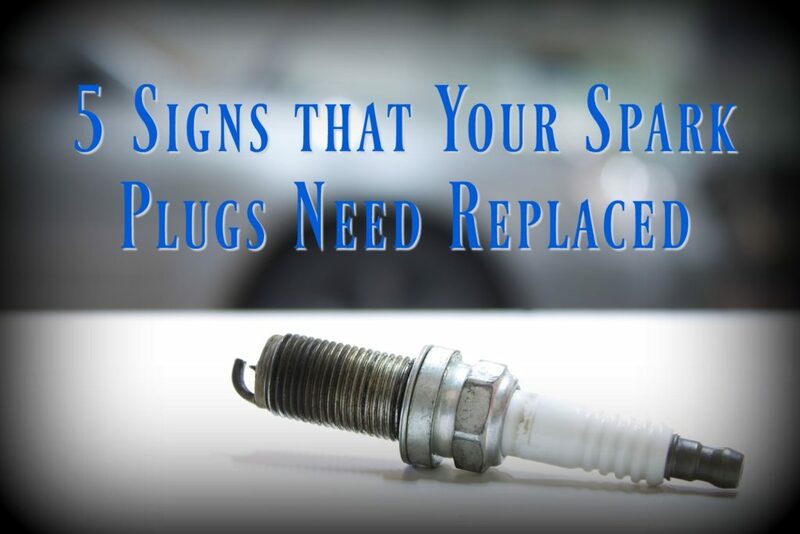 You may find that servicing your vehicle with a spark plug change fixes this sluggish feeling. Having spark plugs that function properly help keep the emissions coming from your vehicle at a minimum. Spark plugs that are deteriorated can lead to a decrease in your vehicle’s fuel economy due to incomplete combustion. So if you notice that you are filling up more often, have your spark plugs checked. If you are experiencing any of the above symptoms, or have any other vehicle related concerns please call us at 602-266-0200. 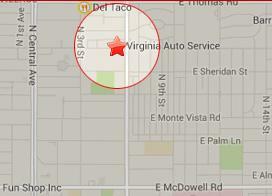 We here at Virginia Auto Service are happy to help you with your car care needs. The engine is a complex contraption with many parts vital to keeping your vehicle running smoothly. Of all these parts, the crankshaft, connecting rods, pistons, and cylinders are basic to every truck and car engine. The cylinders of the engine are essentially tubes. Most cars will have at least four cylinders. The more cylinders the more “powerful” the vehicle’s engine is. It is inside these tubes that the magic happens. Everything that the rest of the parts described below do, is happening within the cylinders. Each one of the cylinders have a piston that pumps inside of it. The piston has to handle thousands of explosions each time you use your vehicle. When it pushes up into the cylinder, the fuel/air mixture that is in it gets compressed, then a spark plug makes it “blow-up.” The explosion occurs to push the piston back down fast and powerfully. Once the piston is pushed down the connecting rod will push against the crankshaft to keep the engine turning. Pistons have a top and a bottom. The explosions happen at the top end which is smooth, often with indentations in the surface, so that the piston won’t hit a valve. Connecting rods are connected to the bottom of the pistons. The bottom of the piston is hollow, and inside it is a thick steel pin (wrist pin) that connects the connecting rod and the piston. This makes the rod twist slightly back and forth while remaining securely attached to the bottom of the piston. 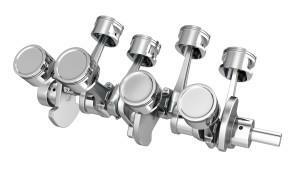 This is an essential function as it causes the crankshaft to rotate. Essentially, what we learned above is that there is an explosion that occurs in the cylinder that causes the piston to be forced downward towards the interior of the engine. There is a connecting rod at the bottom of the piston that connects the piston to a certain point on the crankshaft, which transfers the energy from the explosion from an up/down movement of the piston to a rotational movement in the crankshaft. Every time the explosion occurs, the crankshaft turns a little more. Every connecting rod attaches to the crankshaft at different points, which means a different part of the crankshaft is always being pushed in the rotation. This is happening thousands of times a minute, resulting in a powerful engine that is able to move your vehicle down the road. *You must remember that in order to run smoothly your engine needs lubrication. Make sure that you are keeping your oil at proper levels and that you change it regularly. For best results refer to your owner’s manual for the right time to have it changed. If you don’t keep up with regular oil maintenance, you risk seriously damaging your engine. When you purchase a vehicle, it’s not a decision you make lightly and because of the cost involved, you want to get the longest life from it that you can. The first tip for keeping your vehicle in top running condition is to read and understand your owner’s manual. You’ll also want to spend some time with a trusted auto service mechanic like Virginia Auto Service, about regular maintenance. 1. 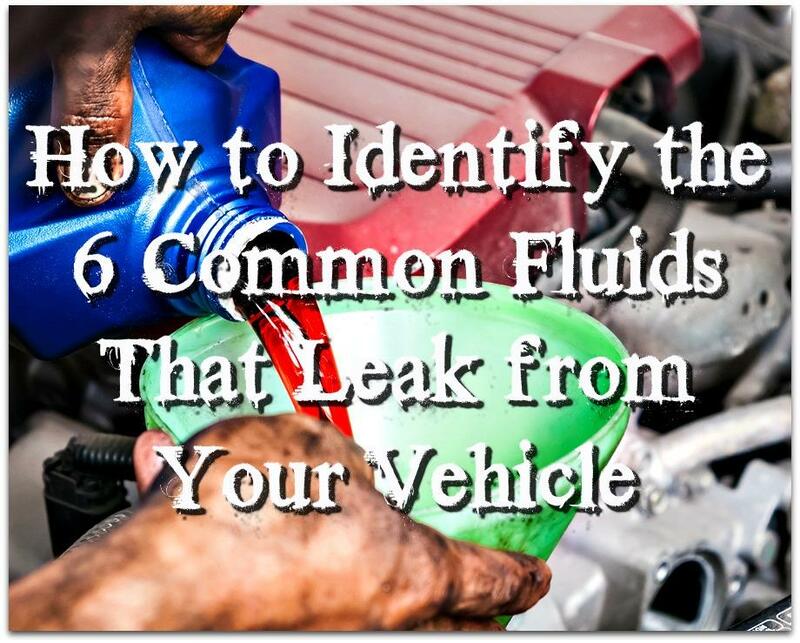 Fluid check: On a regular basis you should be popping the hood to check vehicle fluids. Fluids include antifreeze coolant, transmission, power steering and brake fluids. Don’t forget to check your windshield washer fluid. 2. Brakes: These should be checked and professionally bled and purged of old fluid and refilled with new fluid every two years. Without proper maintenance, you can run into expensive brake issues such as rotted brake lines or malfunctioning anti-lock brake pumps. If your brake lines rot, moisture can seep in and damage the entire braking system. 3. Upkeep: Cleaning and washing your vehicle, inside and out, not only adds to its resale value, but it makes for a more enjoyable ride. If you notice any rust bubbles or dents when you’re washing the car, you should have them addressed as soon as they appear. 4. Oil: Check your owner’s manual or ask your service professional but it might be wise to change to a synthetic lubricant oil – it’s more costly but the benefits outweigh the cost. Synthetics offer superior performance and lubrication. Additionally the synthetics are more environmentally friendly as they don’t use fossil fuels. 5. Recalls and Service Bulletins: If you’re the original owner of the car, you should be notified of manufacturer recalls. If you aren’t the original owner, check the Internet or with a local dealer to see if there have been any recalls issued. 6. Fill it up: With gasoline, it might be tempting to skimp and use a cheaper grade. When you go to the pump use the gas specifically formulated for your vehicle type. Routine maintenance such as fluid checks and keeping your car clean can be done by the average weekend mechanic. When it comes to having larger vehicle maintenance issues addressed, it’s best to work with a certified auto mechanic. It’s always best to know a mechanic and a garage that you’d like to work with before the need arises.